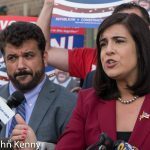 Republican and Conservative mayoral candidate Nicole Malliotakis held a press in the Bronx this afternoon, returning to Throggs Neck for the second time in two weeks. 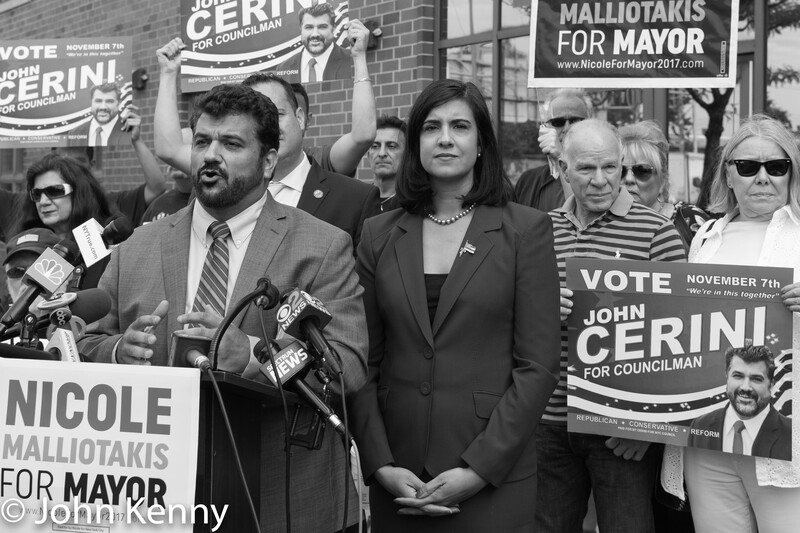 Malliotakis joined Republican city council candidate John Cerini to voice concerns that a commercial building may be converted by the City to a homeless shelter or drug treatment facility that the local community doesn’t want and without any notice to the local community. 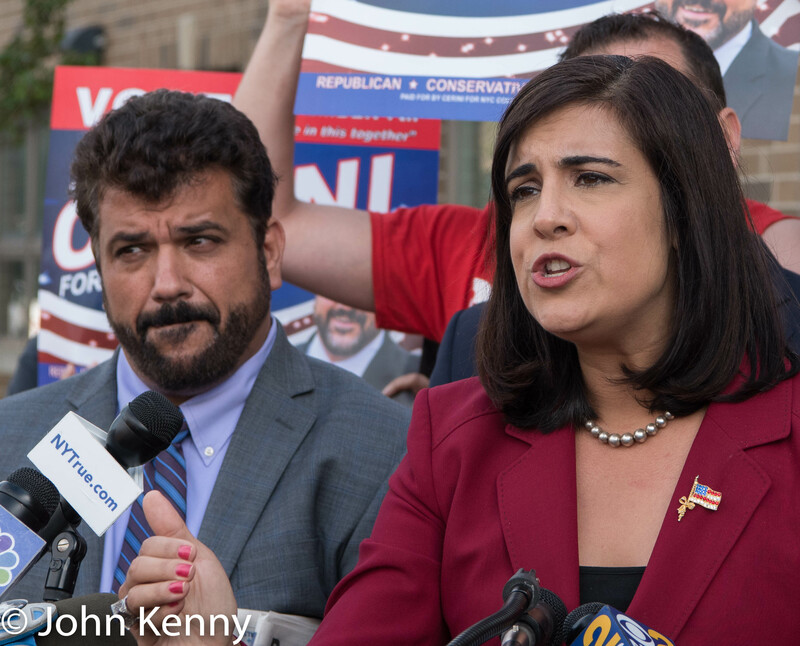 Bronx Republican Chairman Mike Rendino joined the press conference, although he did not offer any remarks.